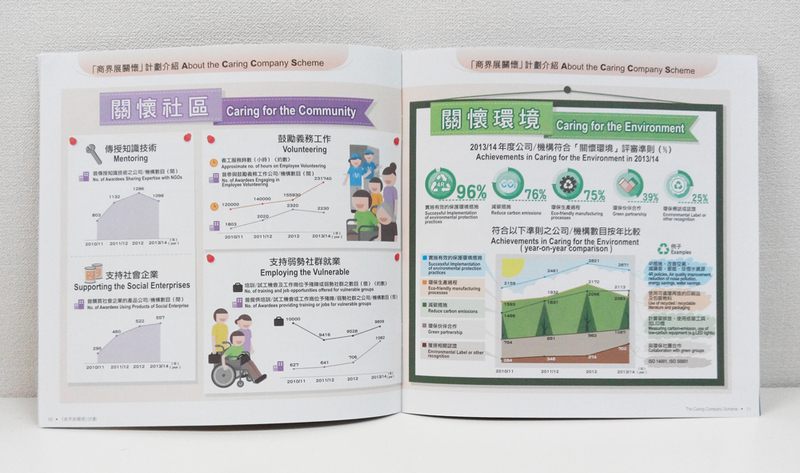 To cultivate good corporate citizenship and promote Corporate Social Responsibility (CSR), Hong Kong Council of Social Service has established the Caring Company Scheme to recognise the efforts that the companies and organisations made to create a more cohesive society. 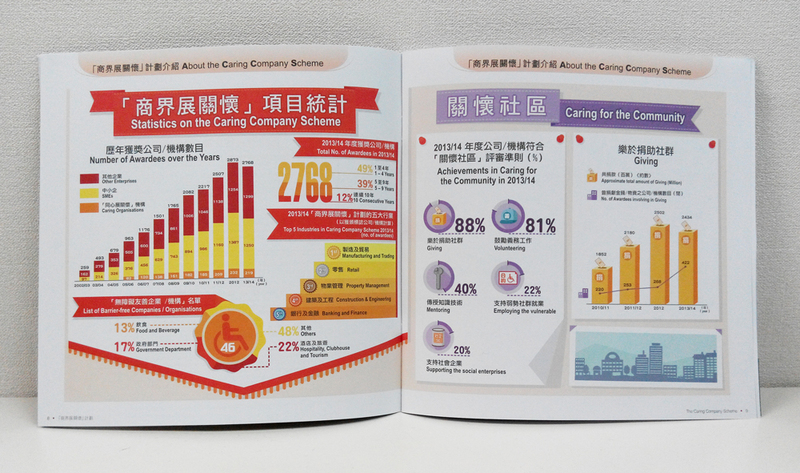 The following infographics and explanatory motion graphics video show the overview of the Caring Company Scheme in the past 10 years. Besides donating and volunteering, how does an awarded organisation take up its social responsibility? The following explanatory motion graphics video excerpt would give you some ideas. 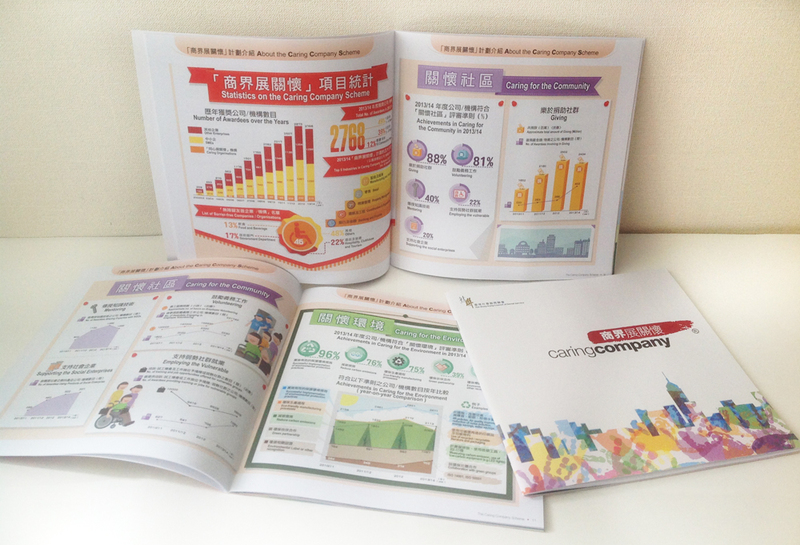 A series of infographics were also created for the project.